Yeah, it's a real shame, I was really hoping to hit $200K so that we could add seamless planetary landings, multiplayer, and ship interiors/walking to LT. I know you all were too...but that's OK, at least we got carriers, right? Wait, why is everyone sad about not getting carriers? 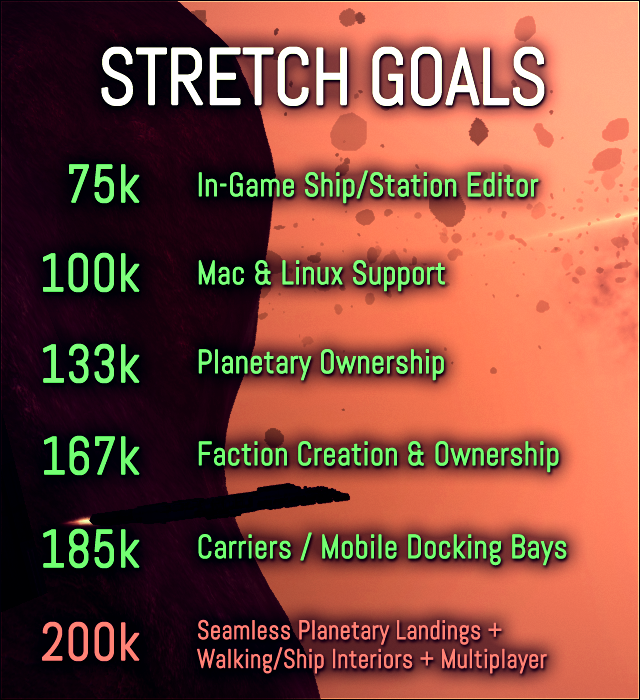 Maybe you guys were confused about the stretch goal levels...let me remind you.. I still remember shaking from fear when I clicked the submit button a month ago. I had no idea what the world would think of my little project, my little universe. I just hoped that maybe a few space geeks out there like myself would sympathize and chip in a few bucks to help me code up the space simulation game of my dreams. Almost $190K and 5.5K backers later, I'm simply shocked. I'm in awe. Truly. To know that so many people share my dream of living in procedural sandbox of opportunity...it's humbling, inspiring, and immensely exciting. It's been an absolute pleasure to run this campaign, meet and talk to you all, and listen to the overwhelming amount of excitement, cool ideas, and overall positive feedback that you've given. But of course, this isn't the end! I hope each and every one of you will come on over to http://forums.ltheory.com, where we're already hard at work discussing a billion-and-two different gameplay ideas. 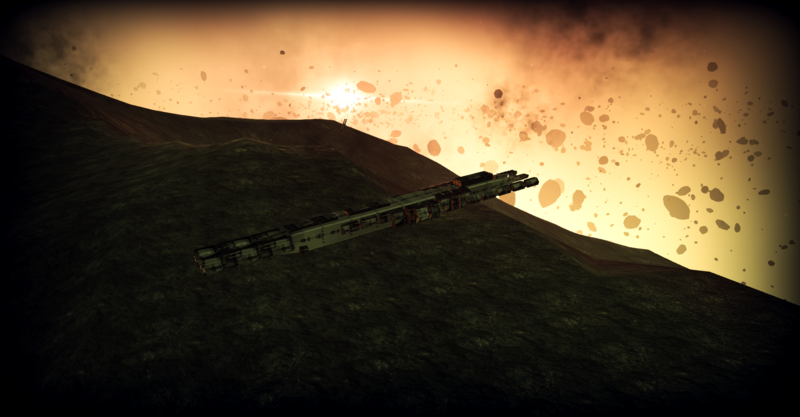 I'll continue to be active on the forums and email, so don't hesitate to contact me there! I really appreciate the risk you all took in investing your hard-earned money in Limit Theory, especially during the holiday season. I plan on repaying each and every one of you to the maximal extent by delivering every bit of the game that I promised (as well as high-quality physical goodies to those that went for the higher tiers)! I will not forget your generosity. I'll be in touch soon with more details concerning where we go from here, etc. Again, thank you all so much, and Happy Holidays / Merry Christmas! Felewin and Dainchi like this update.